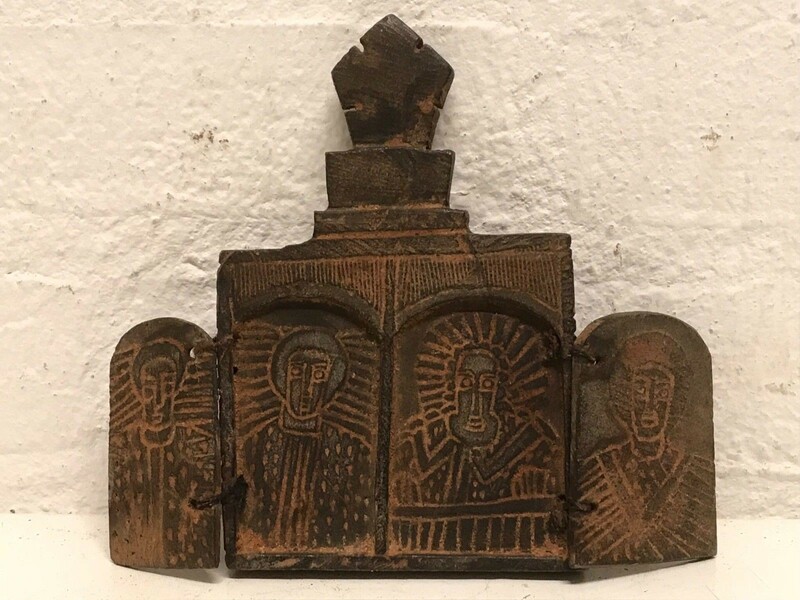 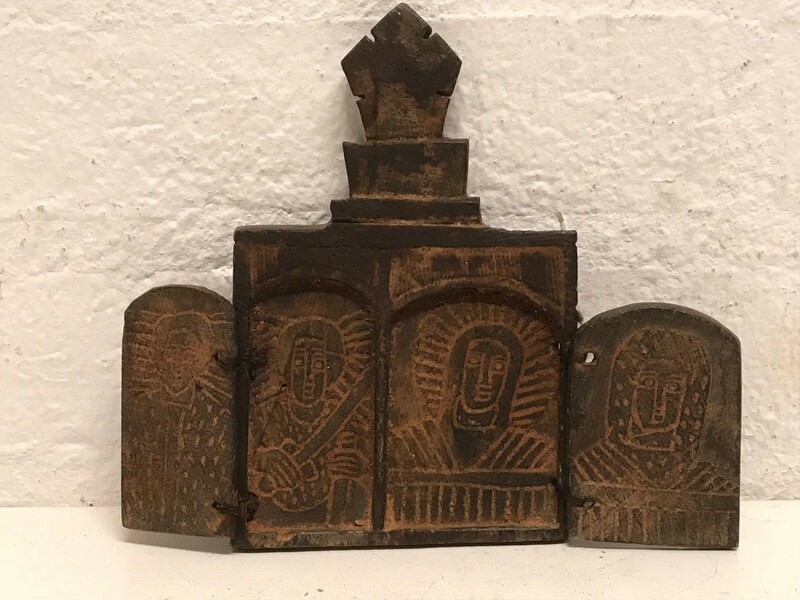 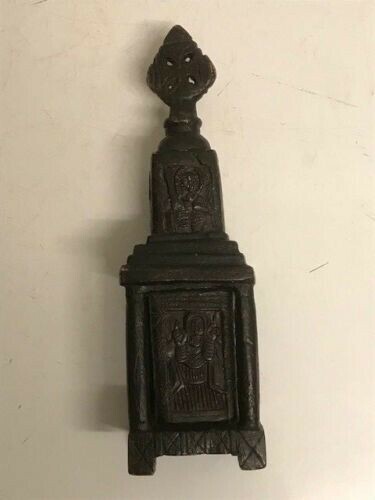 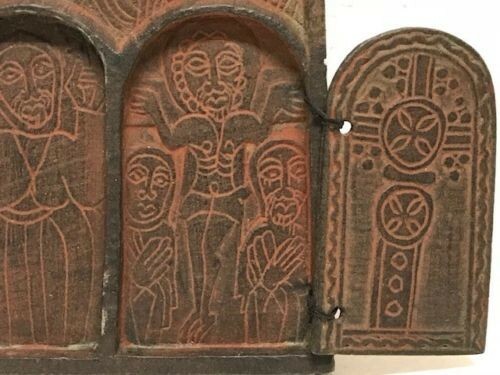 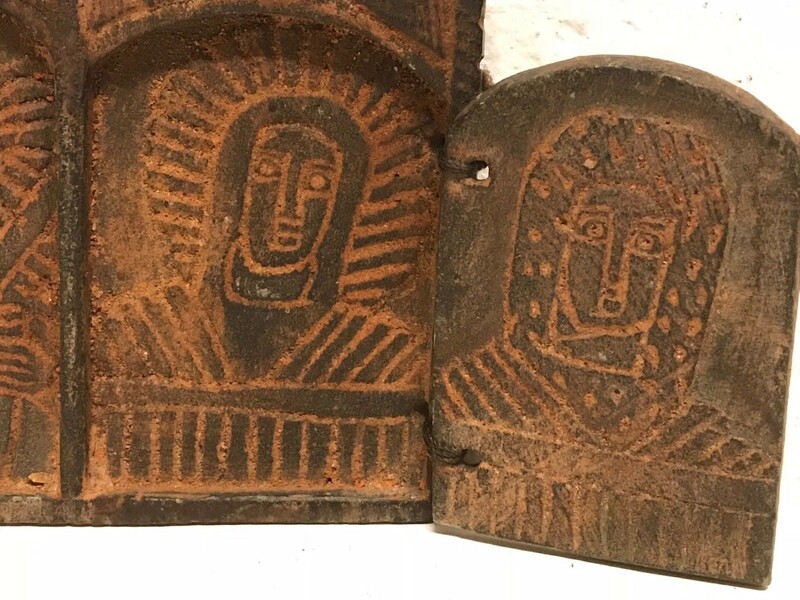 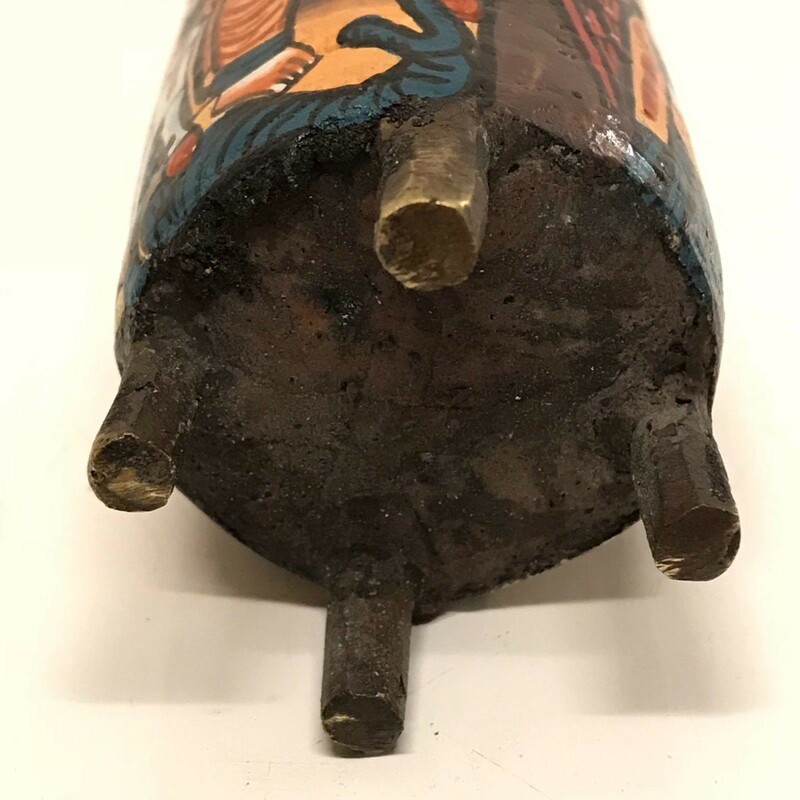 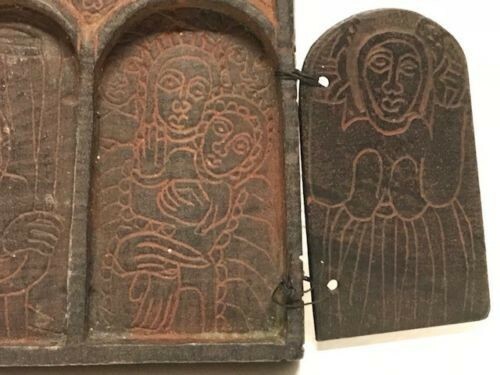 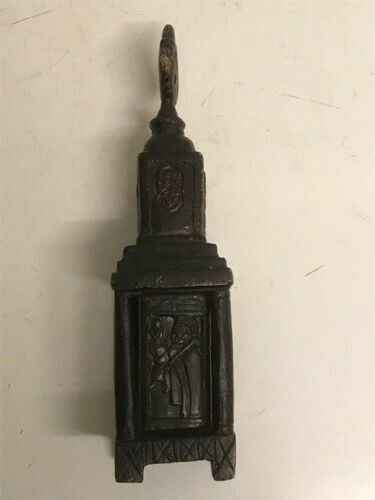 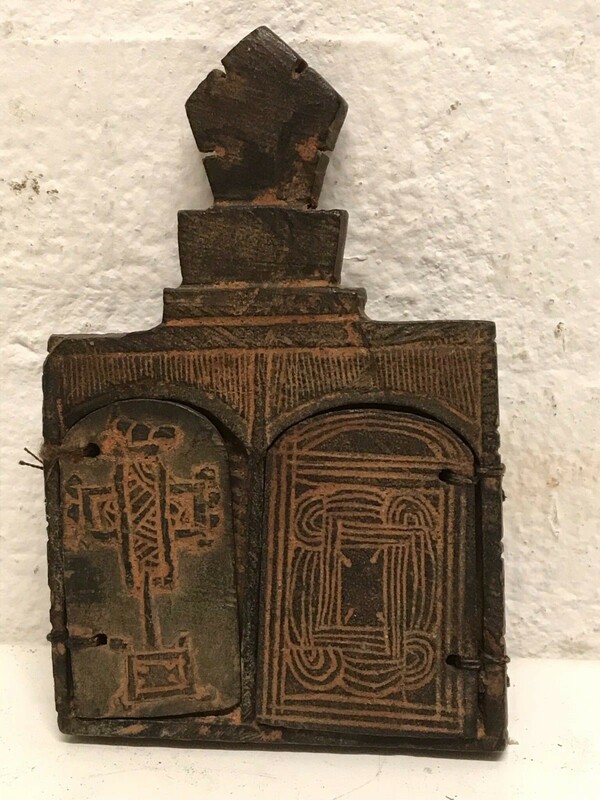 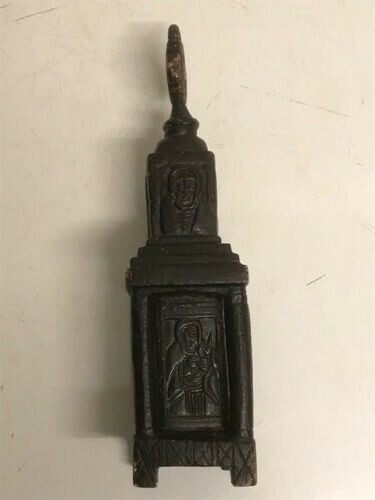 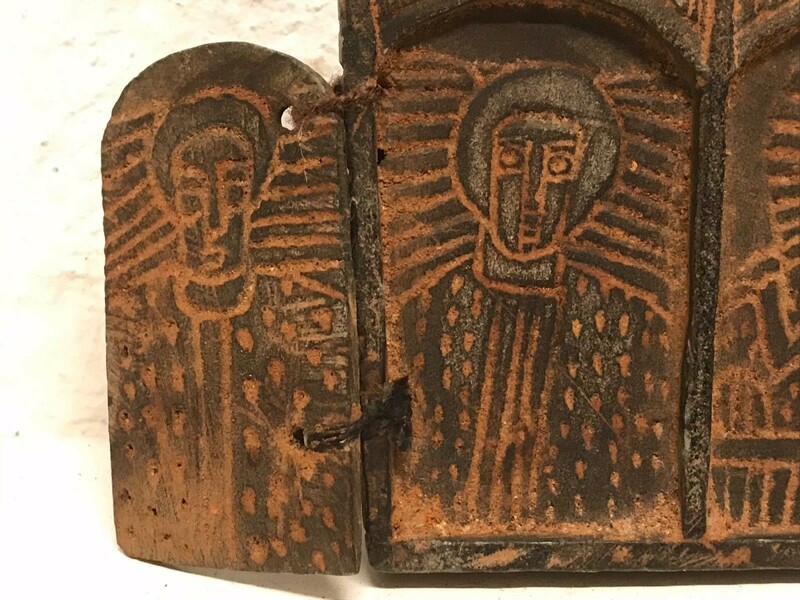 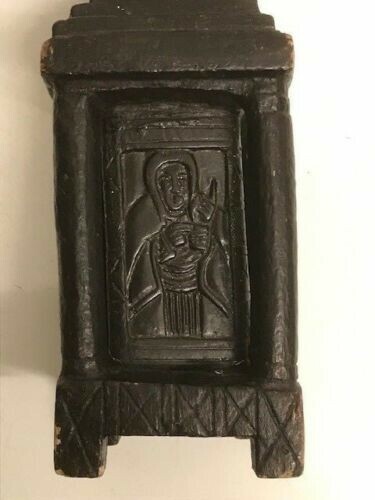 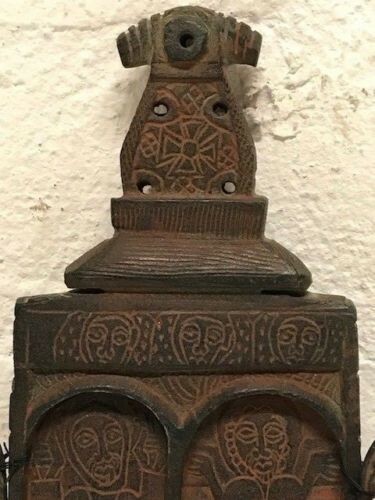 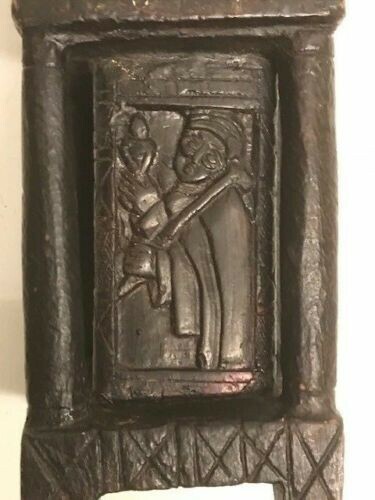 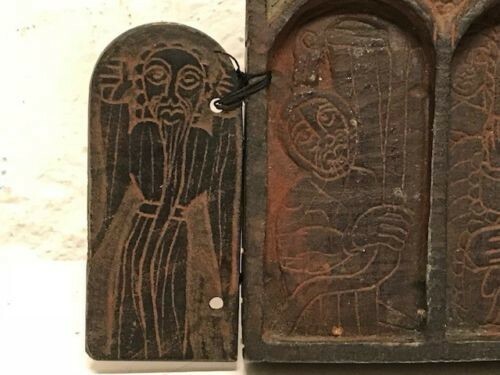 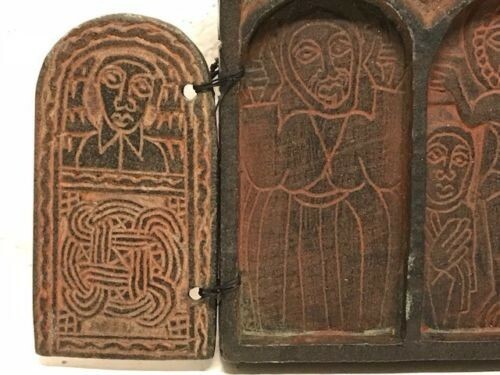 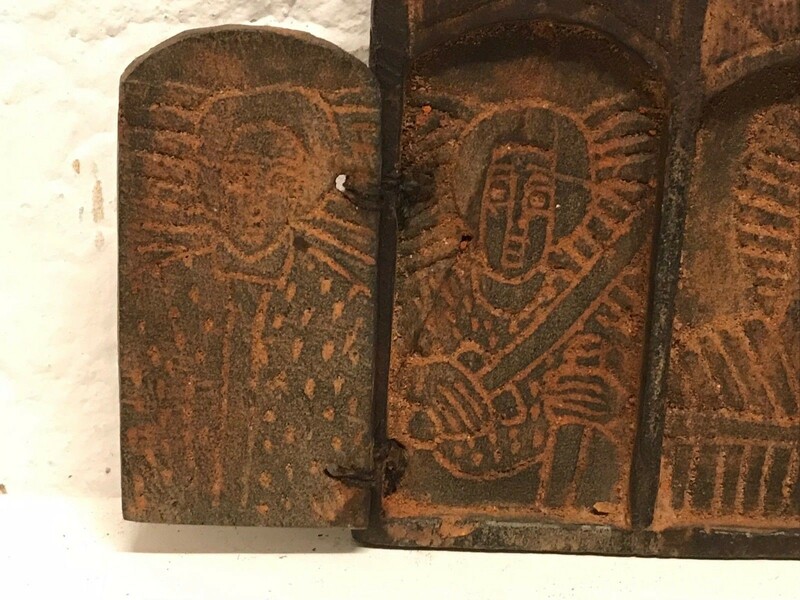 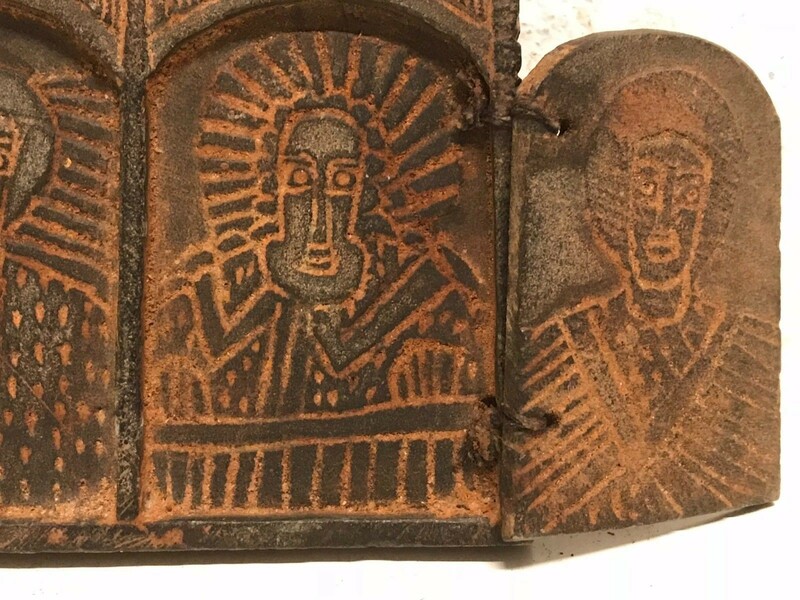 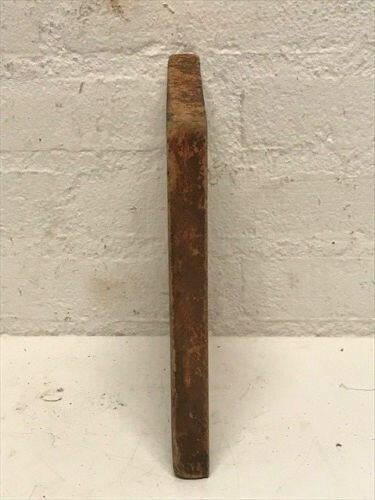 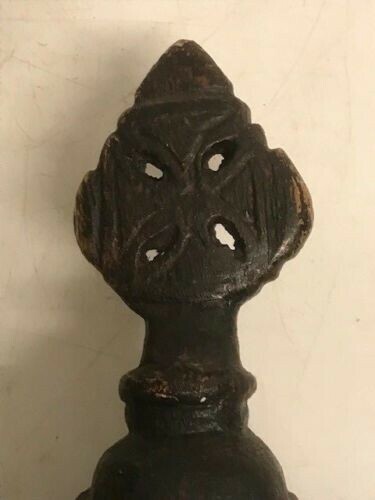 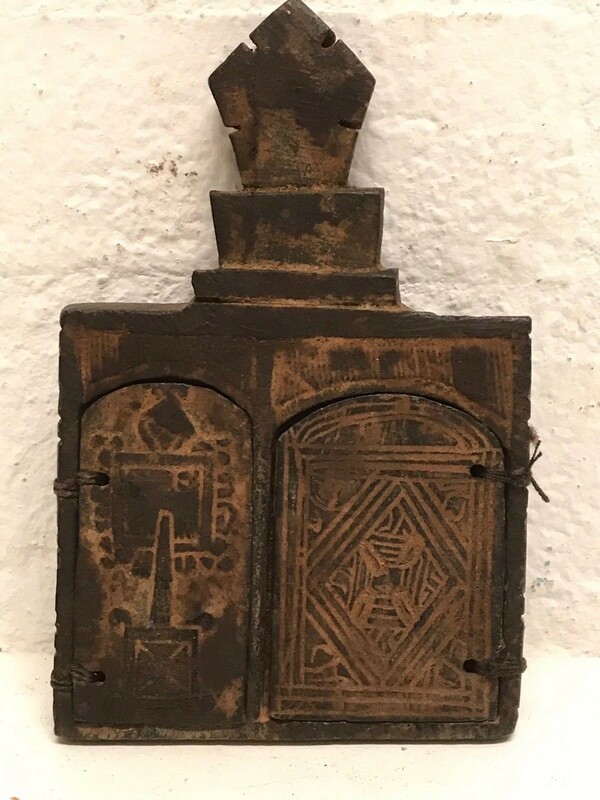 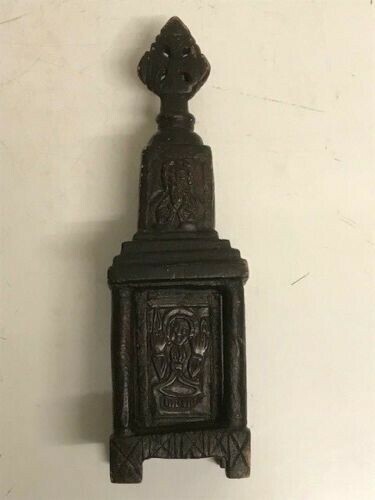 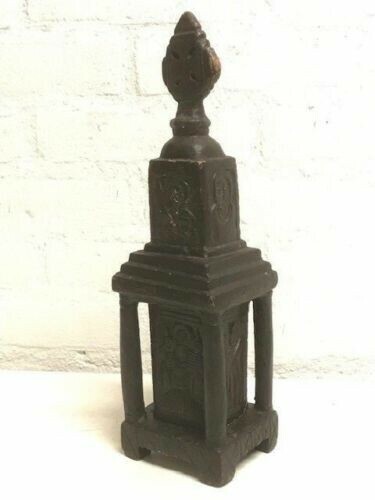 180235 - Rare Ethiopian African Coptic iron 4 handpainted icons. 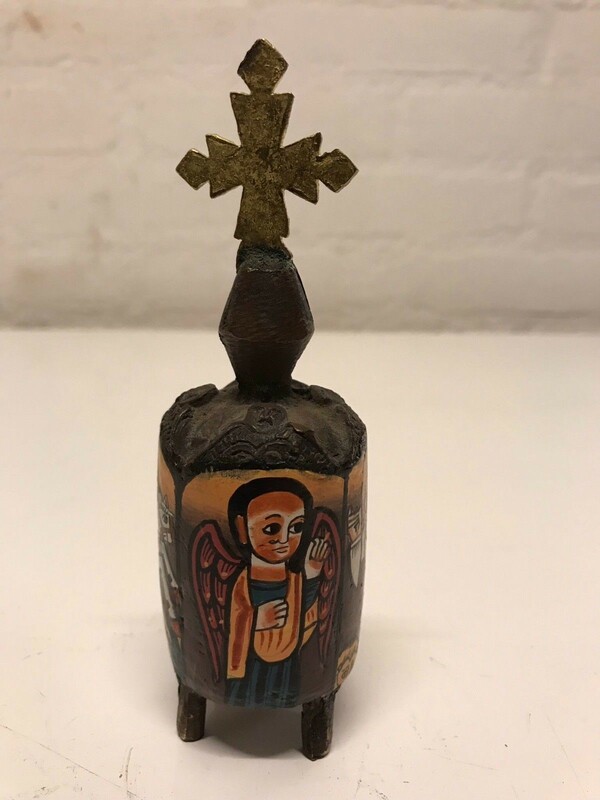 Ethiopia Coptic Round round iron icon. 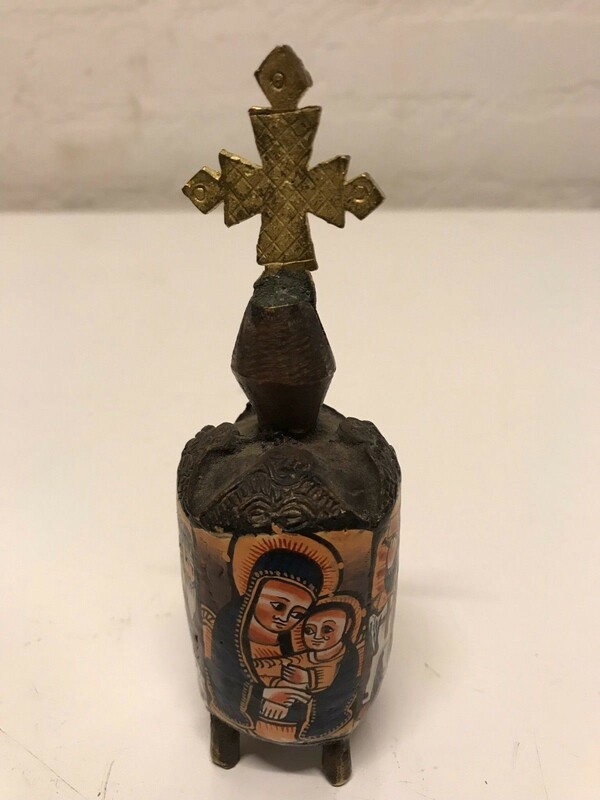 measures approximately 13 cm high with 4 handpainted icons and cross on the top. 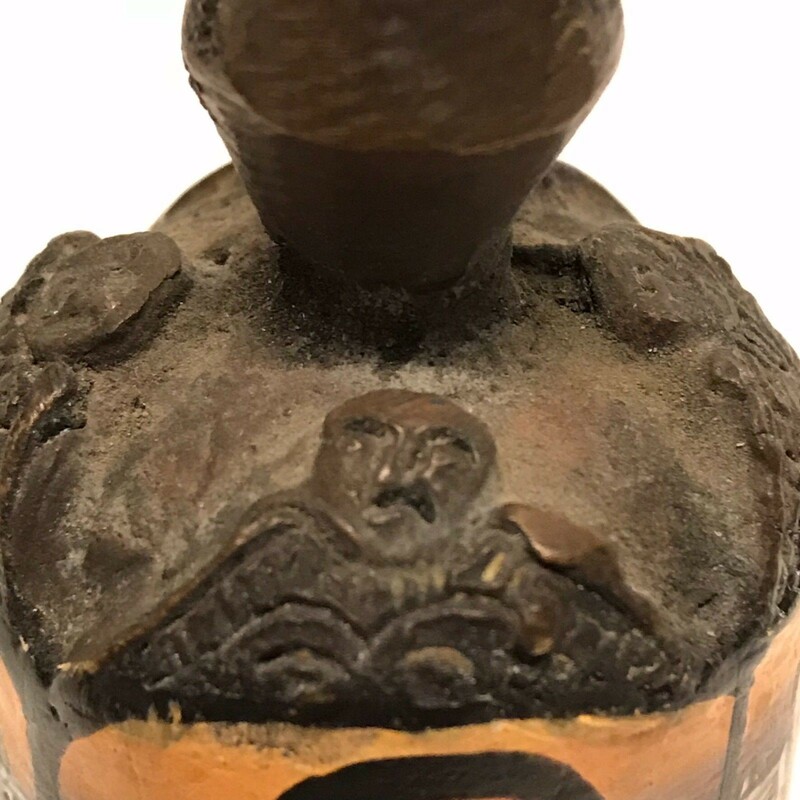 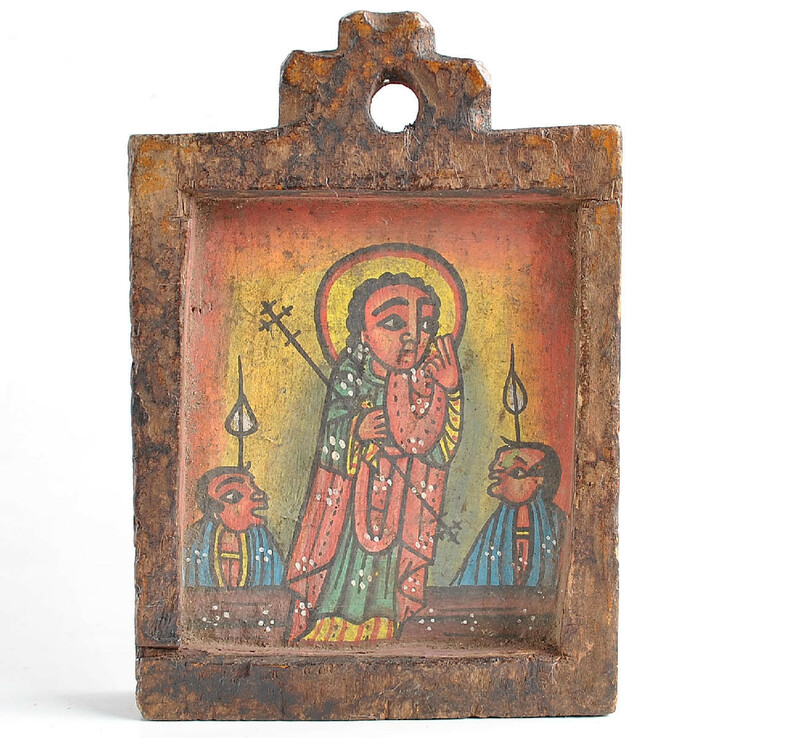 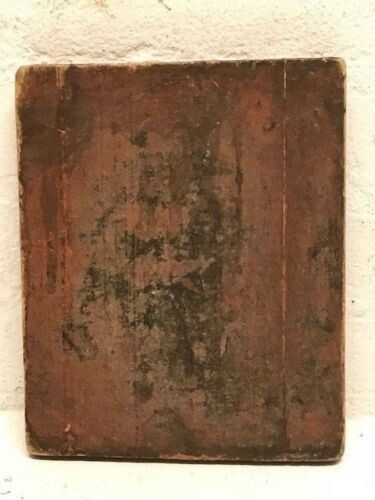 180834 - Ethiopian 18th century wooden handpainted coptic icon. 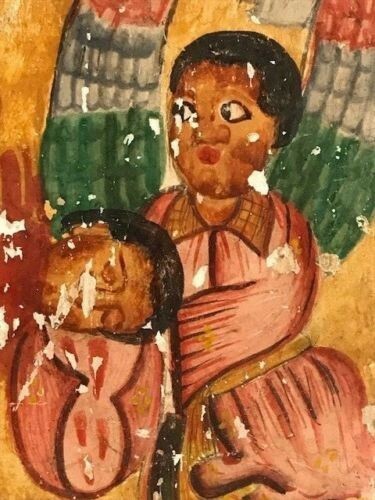 Ethiopia Coptic handpainted icon from the orthodox coptic Church. 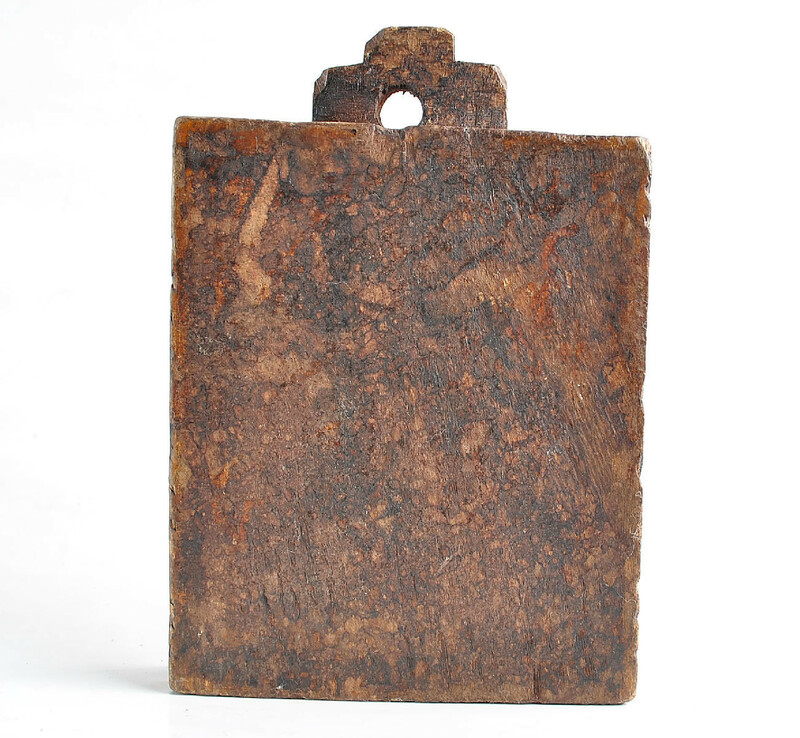 High: 15 cm x 10 cm. 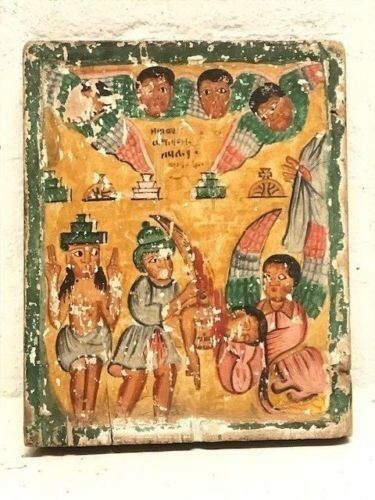 170800 - Ethiopian 19th cent. 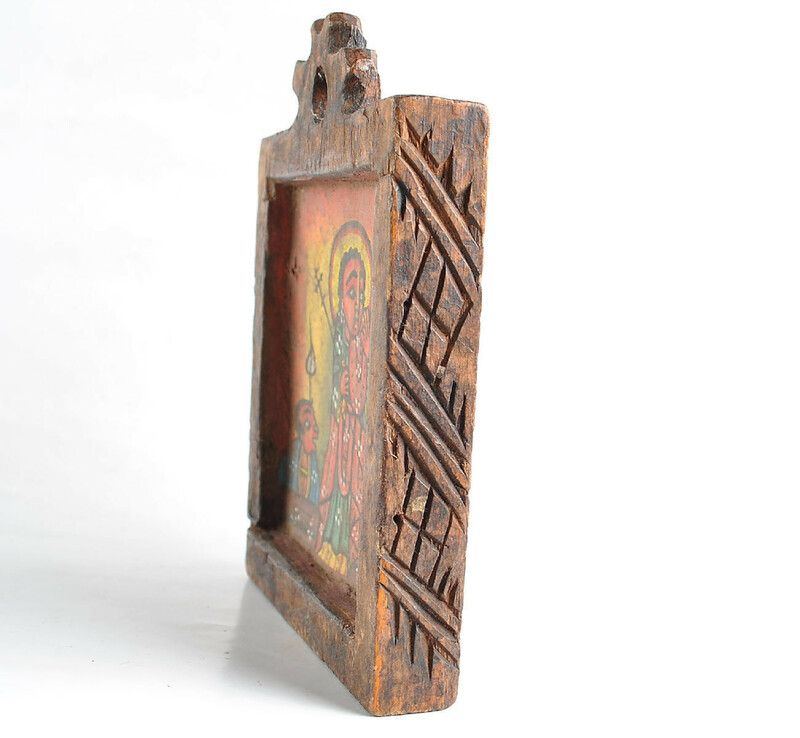 wooden handpainted coptic icon. 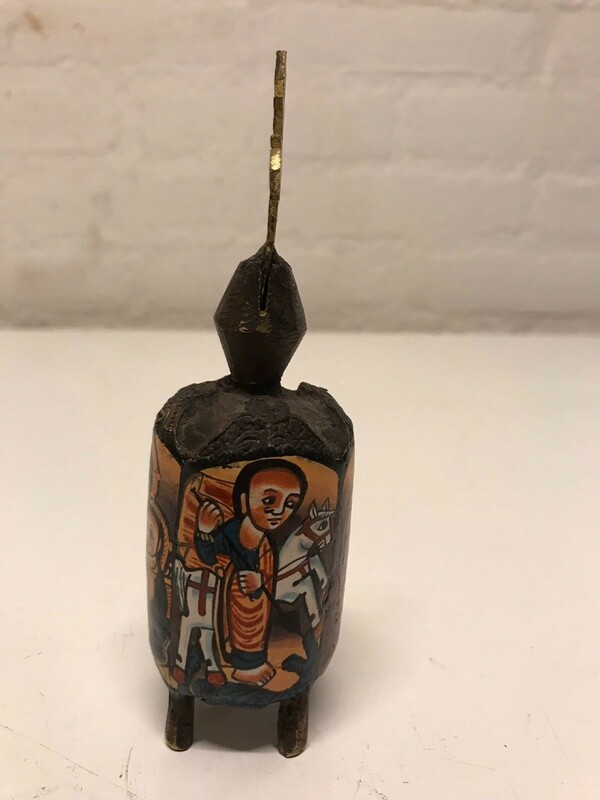 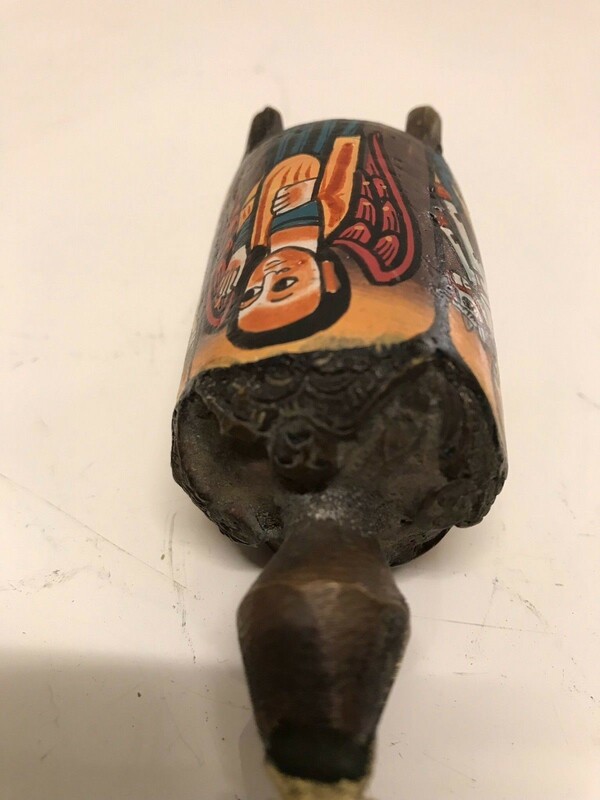 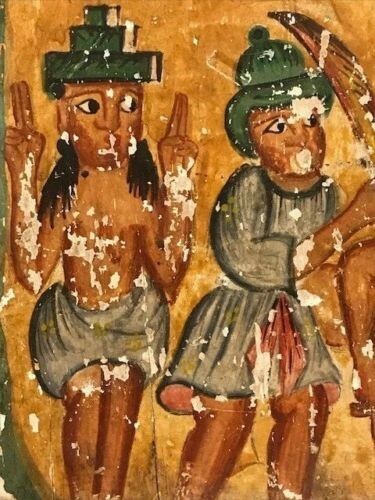 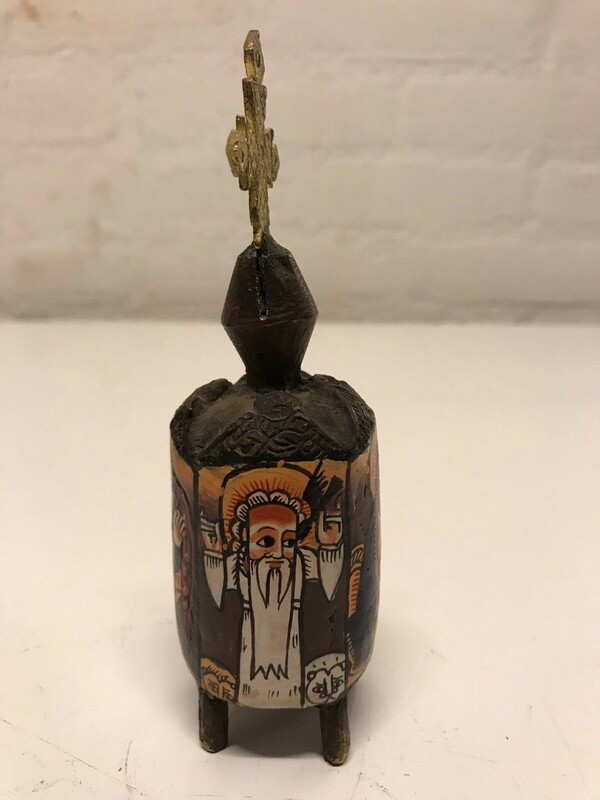 Old and Rare Ethiopia Coptic handpainted 19th cent. 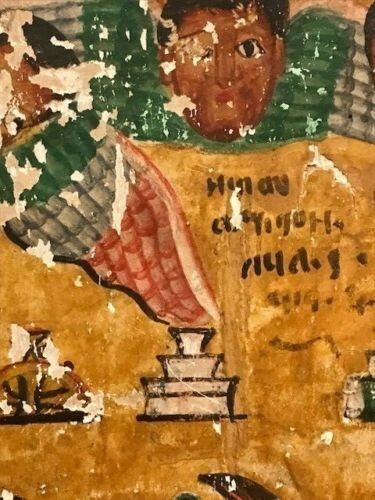 icon from the orthodox coptic Church. 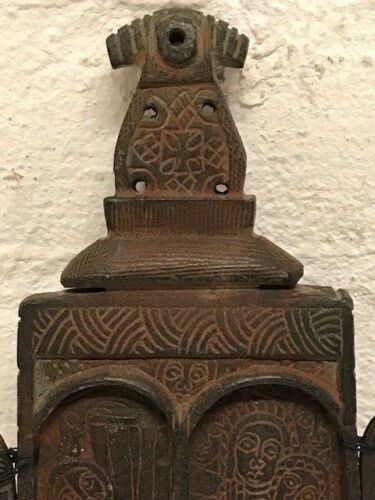 High: 21 cm x 17 cm. 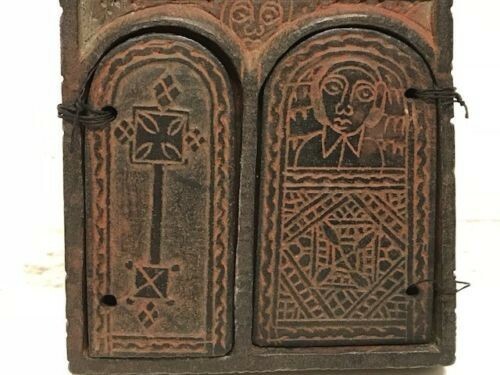 It is taken in 1936 from an Italian collector out off Ethiopia. 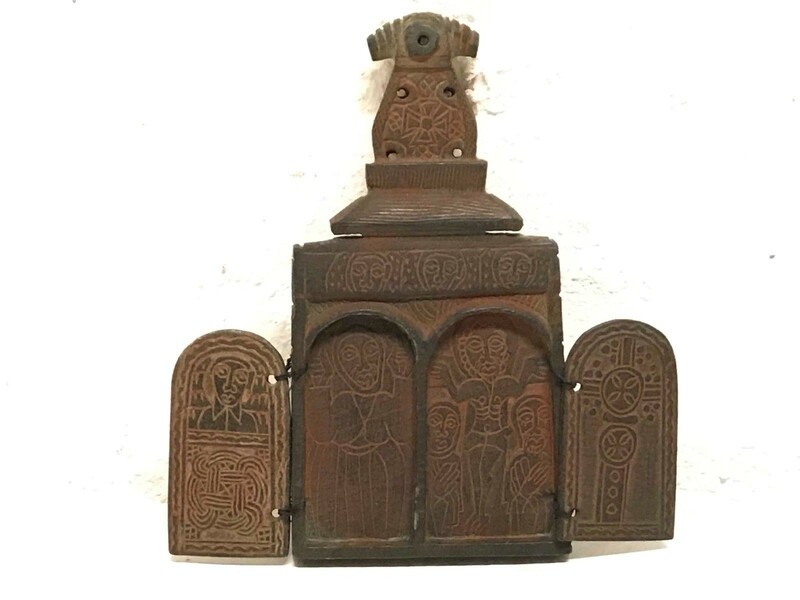 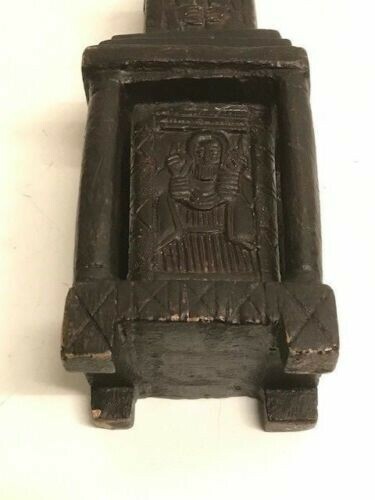 Ethiopia wooden begin 18th century Icon altar from the orthodox coptic Church in Axum. 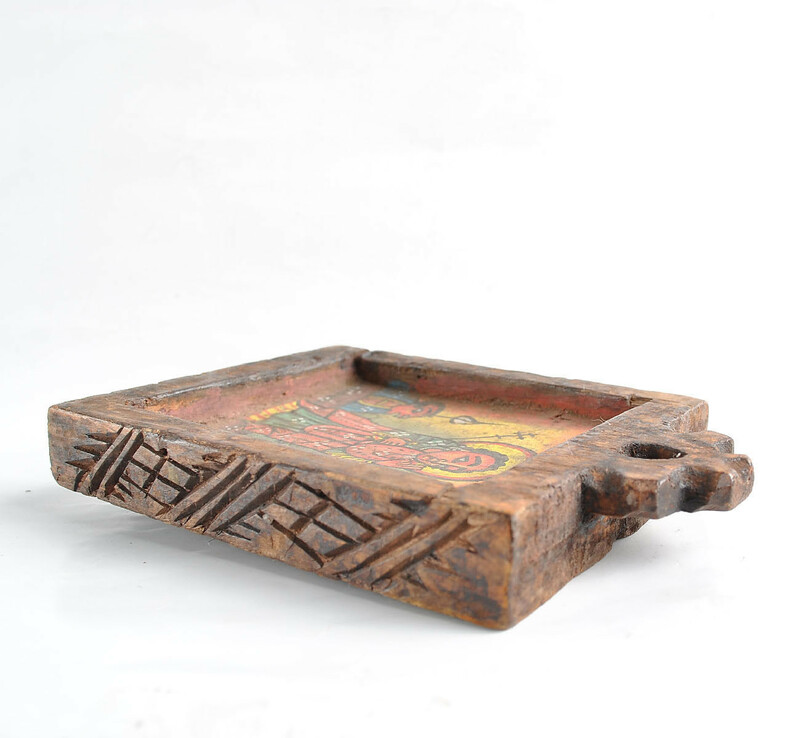 measures approximately 35 cm height and 10 cm wide. 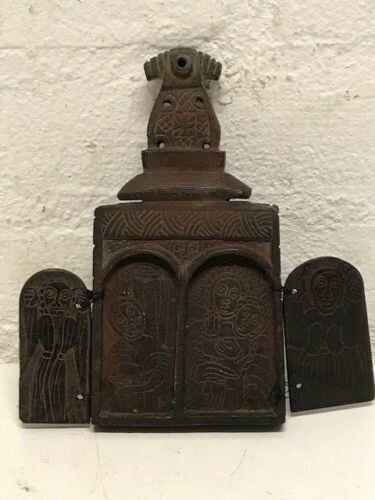 This altar is more then 200 years old and comes from an Italian collector. 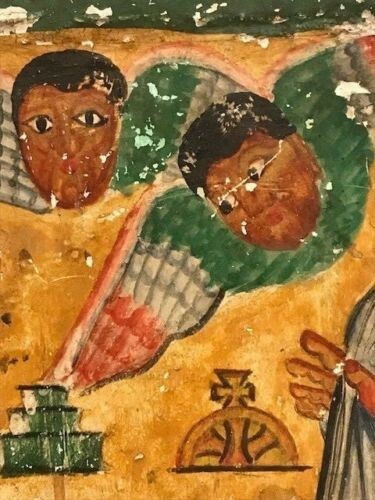 Ethiopia Coptic double stone icon from the orthodox coptic Church. 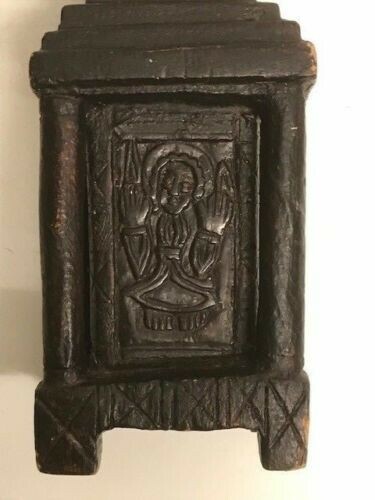 This is a stone icon. 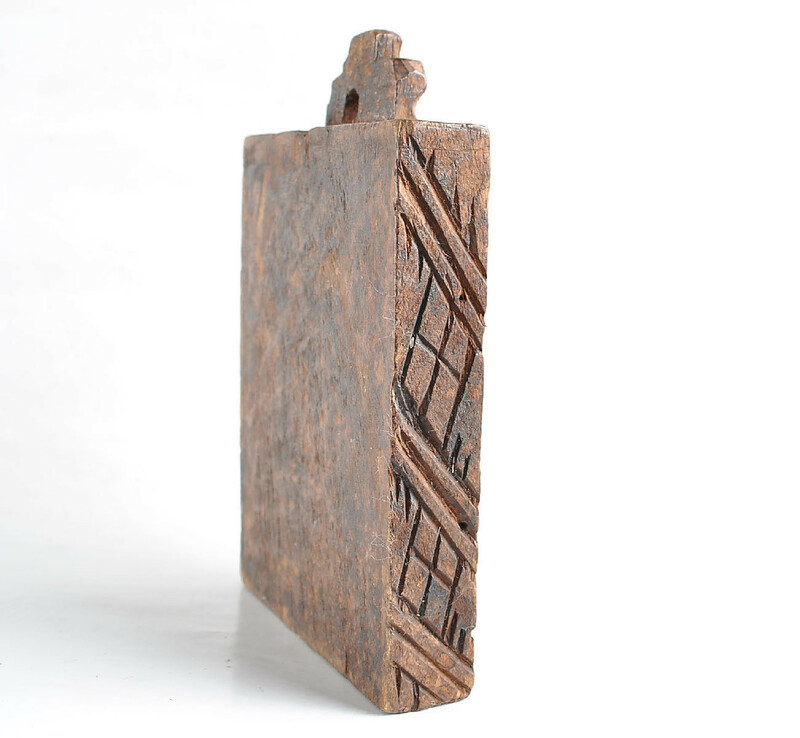 High: 13.5 cm x 16 cm when the doors are open. 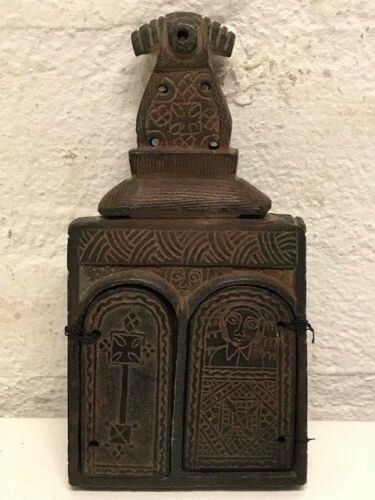 High: 13.5 cm x 8.5 cm when the doors are closed. 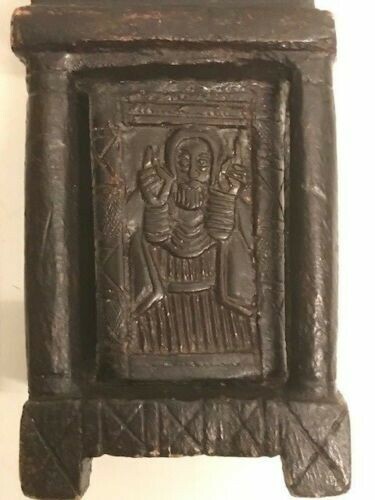 180912 - Ethiopian African coptic double stone icon - Ethiopia. 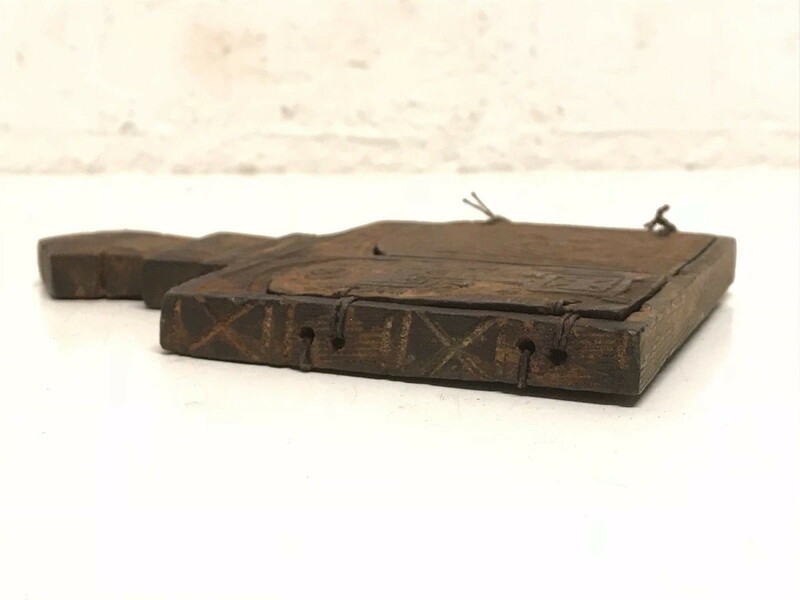 High: 15.5 cm x 14.5 cm when the doors are open. 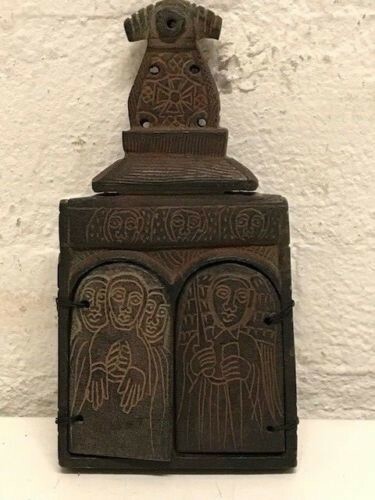 High: 14.5 cm x 7.5 cm when the doors are closed.